Nothing beats heading out of the city to a tucked-away mountain resort like Sun Peaks, especially when it involves several days of wine and food events. 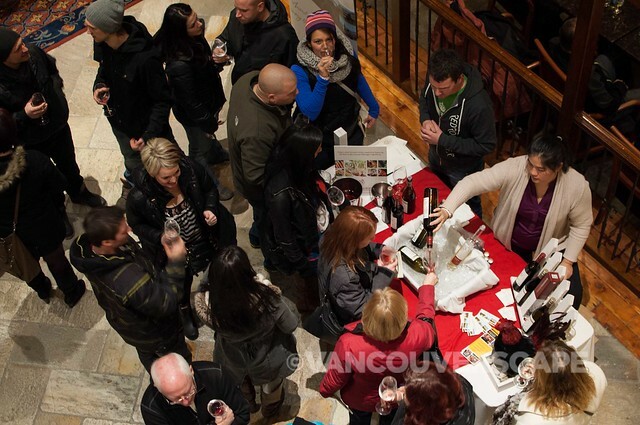 Last week, the 16th Annual Sun Peaks Winter Festival of Wine featured six new events, including one that we attended on Saturday evening at the Delta Sun Peaks Resort, A Conversation with the Chef. 19 events took place over the course of nine days, with the signature Progressive Tasting seeing 650 wine lovers sampling from 20 BC wineries. So much to take in, yet in a relaxed, scenic environment. 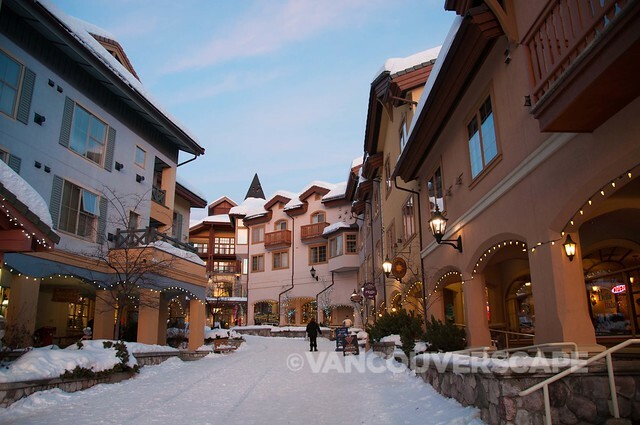 Sun Peaks is a compact Alpine village with everything a stone’s throw away. On Thursday evening, we enjoyed a five-course food and wine pairing at Voyageur Bistro, a recently-opened restaurant with a colourful Canadiana collection of finds displayed throughout. Located inside the Kookaburra Lodge, the restaurant has quickly developed a reputation for its French-Canadian-inspired meals, an experience also enjoyed in summer when owner Kevin Tessier runs canoe tours on nearby McGillivray Lake, culminating with a meal inside this charming bistro. 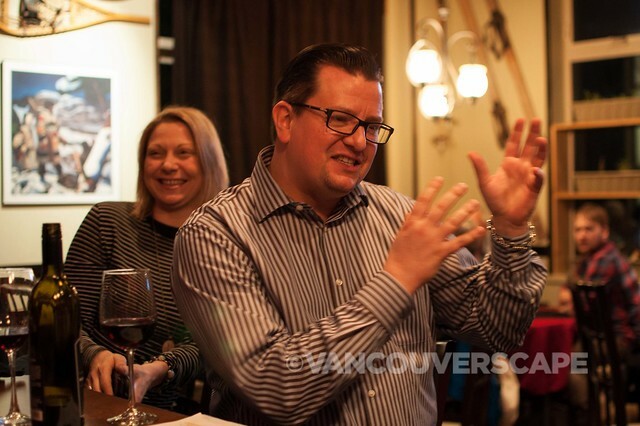 BC Wine Shop’s Gerrit Anderson, together with Tessier, presented an evening of food, wine, and Canadian history. This particular evening in the newly-designed series focused on cartographer and explorer David Thompson, considered one of Canada’s most amazing, colourful characters in our nation’s history. Anderson brokers boutique wines for BC customers, and created Voyageur’s wine list when the restaurant opened a couple of years back. Our five-course meal featured wines from Bartier Bros. (Chardonnay), Mt. Boucherie (Pinot Gris), Ex Nihilo (Pinot Noir), Fairview Cellars (Cabernet/Syrah), Misconduct Wine Co. (Cabernet/Syrah), and Harper’s Trail (Late Harvest Riesling). Thompson (of Welsh descent), born in Westminster in 1770, was later considered one of the greatest land geographers in history. Commissioned by Hudson’s Bay to take on a seven-year apprenticeship, he became a cartographer by sheer accident (having broken his femur at 18). Hudson’s Bay kept him busy as he was healing, and before long, they’d helped to create one of the best and brightest in the cartography trade. Thompson and his wife had a family of 13 kids. He never swore, drank, smoked, or cheated on his wife (through a 60-year marriage) – maybe one or all of these responsible for his having lived to 87. While Tessier discussed Thompson, Anderson discussed the wines he poured, as our two tables livened with conversation. 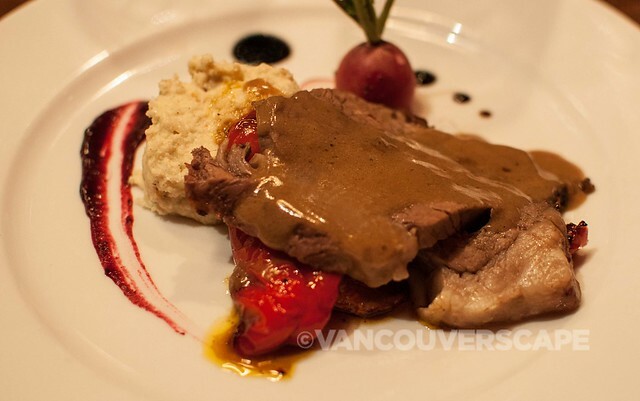 I discovered a new favourite in Fairview Cellars’ Bucket O’ Blood 2011 Cabernet/Syrah ($30), served with prime rib, cauliflower purée, and seasonal vegetables. Fairview Cellars is a six-acre farm winery located adjacent to the Fairmont Mountain Golf Course. The wine’s name comes from a nickname given to Moffat Saloon, where disagreements were often taken outside. 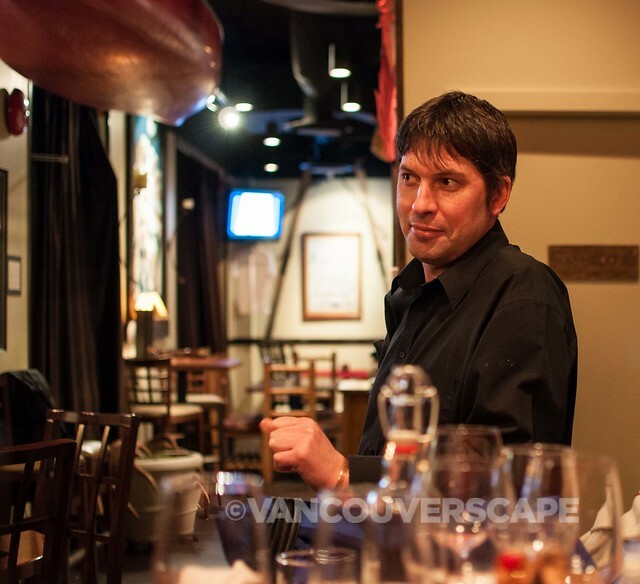 Fairview Cellars is part of a small group of wine makers working in BC since the mid 90’s. Only about three restaurants in all of BC pour this wine, as production is on a small scale. 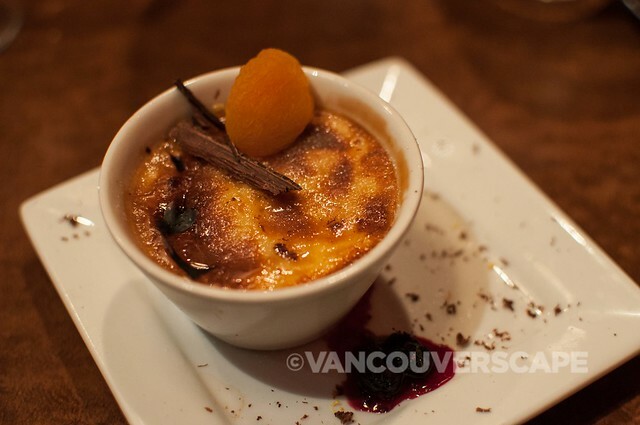 Another pleasurable pour was with our maple crème brûlée dessert, Harper’s Trail Late Harvest Riesling. Its grapes are 100% grown in Kamloops. The vines absorb the limestone terrain, and as grapes remain on those vines longer, water starts to evaporate, leaving a higher concentration of sugar. This wine is considered a ‘2’ on the sweetness scale, and the crème brûlée’s mild maple flavour was well-suited for this dessert sipper. 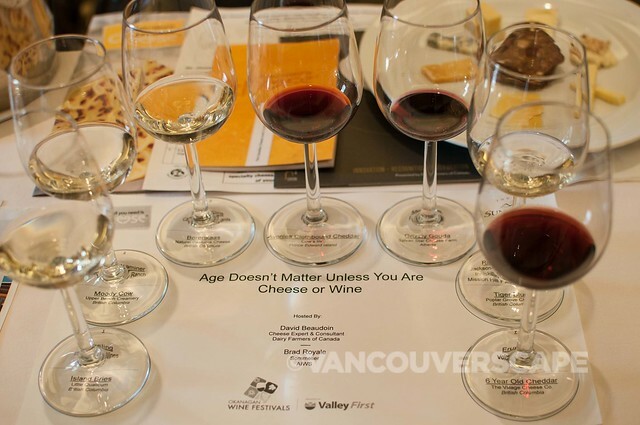 On Friday, cheese expert and Dairy Farmers of Canada consultant David Beaudoin, together with sommelier Brad Royale presented a lively seminar, Age Doesn’t Matter Unless You Are Cheese or Wine. 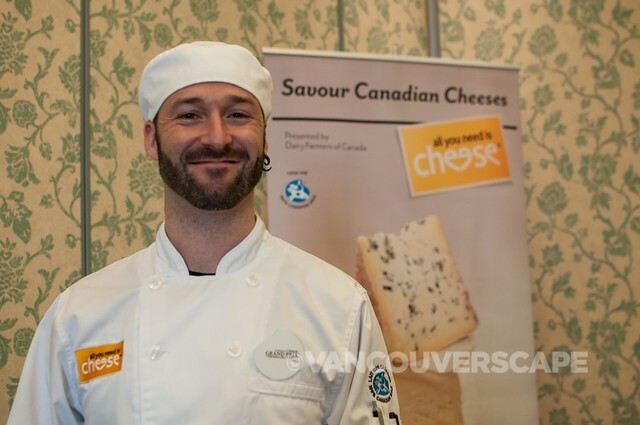 Held inside one of the Delta Sun Peaks Resort ballrooms, our group was gathered to enjoy – and savour – some fine Canadian cheese with seven BC pours, ranging from Riesling to Icewine. When it comes to wine and cheese, an open mind counts. The pairing of the two is more an art than a science, according to Beaudoin. Actually, the two share a common bond: the farm. Neither can exist without it. Calgary-based Royale works as Wine Director for Canadian Rocky Mountain Resorts and was one of the nine judges in last year’s BC Wine Awards. Beaudoin taught us to work with the cheese, inspecting its texture, rind, and smell. We were also encouraged to touch and squeeze our cheeses, to really feel their composition. 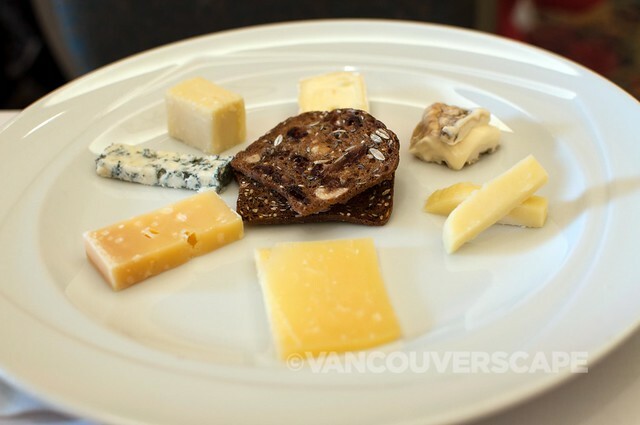 Cheeses that made it onto our plate included Little Qualicum Island Brie, Upper Bench Creamery’s Moody Cow (my new fave! ), Natural Pastures Cheese’s Boerenkaas, Cow’s Inc.’s Avonlea Clothbound Cheddar, Sylvan Star Cheese Farm’s Grizzly Gouda, Poplar Grove Cheese’s Tiger Blue, and Village Cheese Company’s 6-Year Old Cheddar. Cheese and wine is such a personal choice, however my favourite pairing was the Avonlea Clothbound Cheddar, matched with Nk’Mip’s 2011 Talon. The rich, decadent red’s smoky wood aroma with lots of cherries on the palate was a perfect mate for the structured, cave-aged clothbound (voted the best cheddar in Canada). Kudos to both David and Brad for taking us on such a flavourful journey into the land of Canadian cheese and wine. Part two will continue tomorrow. Our meals and events were provided by Tourism Sun Peaks.